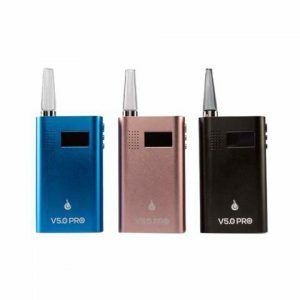 The CloudV Phantom Mini Vaporizer is a stealthy, discreet and powerful dry herb vaporizer. 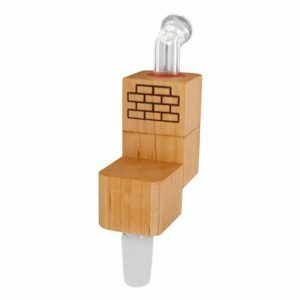 The Phantom Mini is very efficient and features a unique convection heating chamber that will produce a powerful and smooth vapor and maximize the use of your herbs. The CloudV Phantom Mini Vaporizer is a stealthy, discreet and powerful dry herb vaporizer. 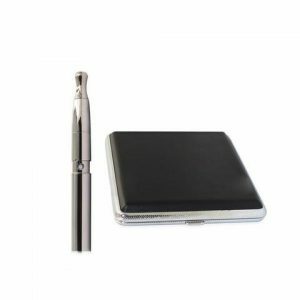 The Phantom Mini is very efficient and features a unique convection heating chamber that will produce a powerful and smooth vapor and maximize the use of your herbs. The Phantom Mini is a well built and durable vaporizer that fits perfectly in your pocket ideal for on the go use. The Phantom Mini is also very easy to use! Twist open the mouthpiece by turning counterclockwise and pulling up. Fill the chamber gently to the top, but do not overpack! Once you have the chamber packed just press the power button 3 times to begin. The display indicator will glow solid blue within seconds and you’re ready to vape! Each CloudV Phantom Mini kit comes complete with the following: 1 x CloudV Phantom Mini Vaporizer, 1 x USB Charging Cable, 1 x Cleaning Brush, 1 x Packing Tool, 1 x Owners Manual. The CloudV Phantom Mini is a true vaporizer, no combustion and great performance from a lowe cost portable vape.